> > where do we see a central tower in G3? > "stepped" core, take your pick. > > perimeter that would define a central tower. > > 3 Gizamids as well as Red, Userkaf, and Sahure. 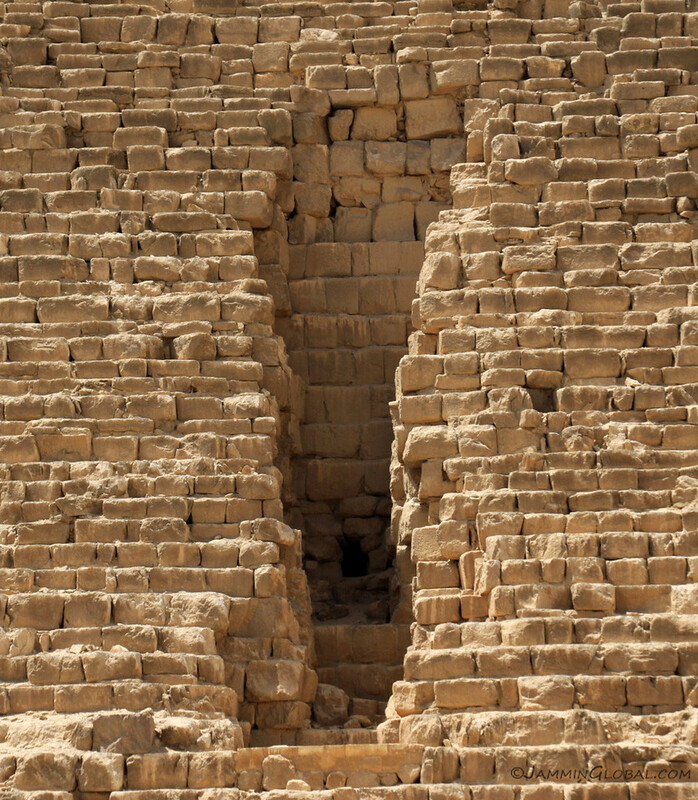 > Saqqara from the 5th/6th Dynasty. > > sliced across horizontally. > > inclined accretion layers. > > only standard’ design in the OK pyramids? > This would be one of the reasons now wouldn't it? > core at its center. Thanks. Now I think I see your point. The disconnect I see is that a "step" pyramid doesn't require a central "core tower" structure and vice versa. 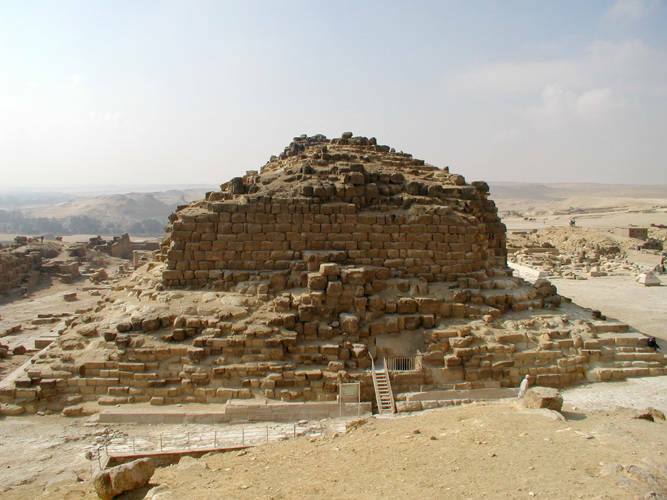 Djoser is a step but not a core tower pyramid. That satellite strikes me as a two or three step pyramid but not a core tower structure, and the other satellites show less hint of a core tower design, despite their state of disrepair. A central core tower requires a 'seed within the fruit' perimeter which have not been identifed in all OK pyramids (afaik). You say that all of the major pyramids with the internals sufficiently exposed show a central core tower design. I think it's interesting that not all OK pyramids' outer skins have collapsed, so perhaps the remaining pyramids that have not collapsed or degraded to reveal such internal core tower construction are still standing relatively intact because the builders opted for a strictly horizontal, and not core tower, design for those pyramids? And to be clear, I have no vested interest in whether any or all of them have the core tower design. In fact, such a design better supports adaption which I do strongly support, based on the physical evidence. It's just that I don't see the data as compelling for the core tower design being as widespread as you're suggesting. But assuming for the moment that most, if not all, of them do indeed have the core tower feature, what do you make of that? What are the implications to you if that were true? Edited 1 time(s). Last edit at 28-Mar-18 03:42 by Origyptian.